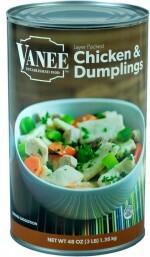 Combine CHICKEN & DUMPLINGS, VANEE ROASTED CHICKEN GRAVY, and vegetables in a large mixing bowl. 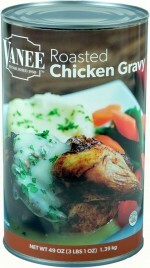 Mix thoroughly and heat to serving temperature. 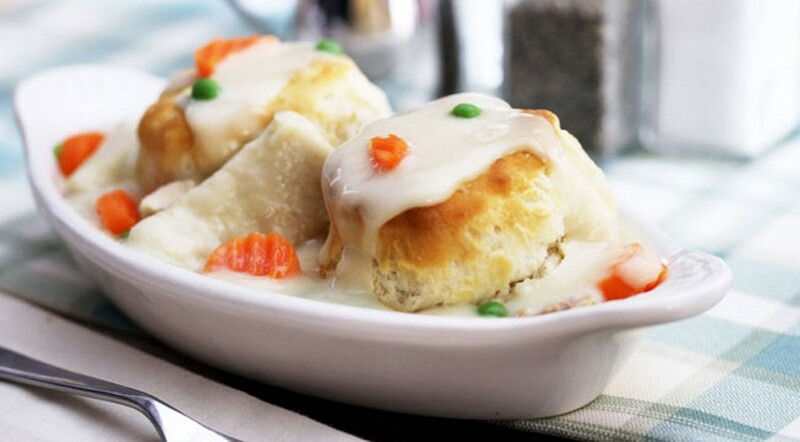 Ladle an 8oz portion over warm biscuits and serve.